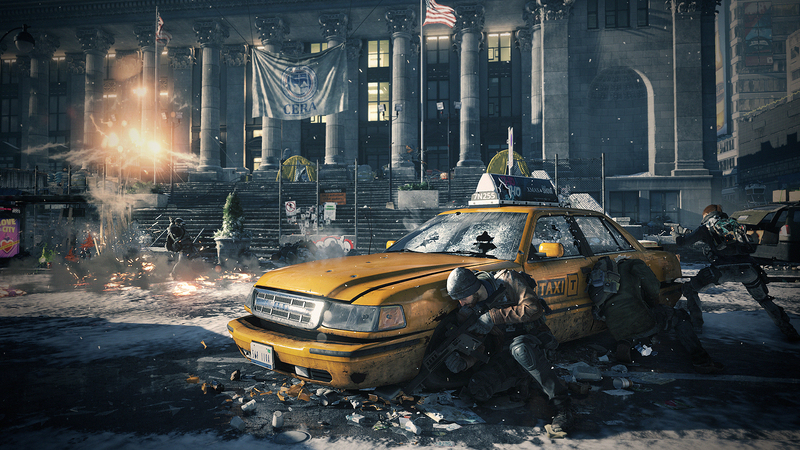 The Division PS4 Review: Gritty. Brutal. Brilliant. Taking back New York is a tough and challenging experience - but also a thoroughly enjoyable one. 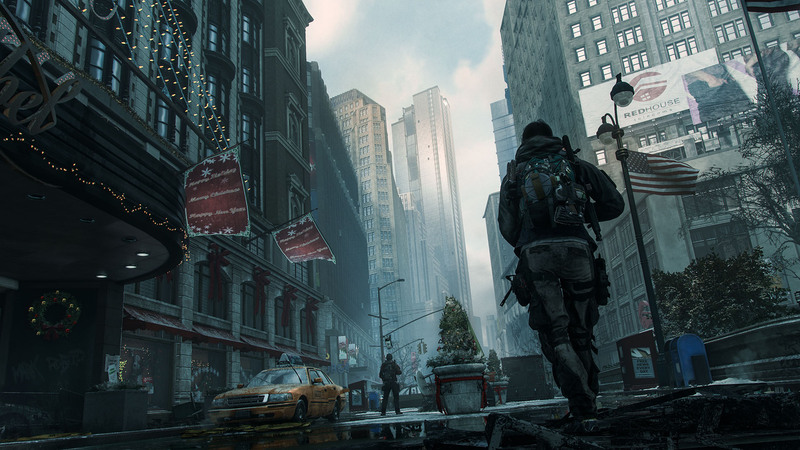 Wandering the streets of The Division's Manhattan is a sobering experience. I've explored many a video gaming post-apocalyptic environment over the years, but I don't think I've ever seen one quite as depressingly fully realized as this. This is a city that feels like it's just slipped into the abyss. Bodies lie in the streets. Abandoned cars are everywhere. Garbage and roadblocks add to the chaos. 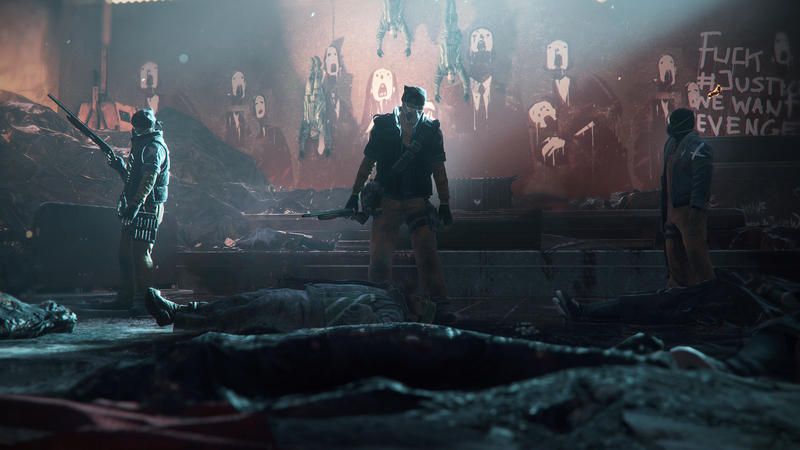 Survivors sift through the wreckage, and wander the streets in a desperate daze. It all feels terrifyingly realistic, and horribly dystopian. 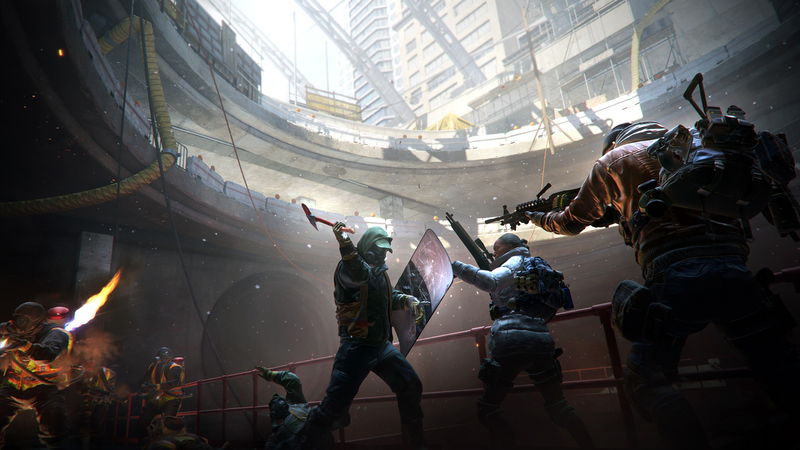 Set in the weeks following the release of a weaponized virus that has decimated most of the population, The Division casts you as a member of the eponymous sleeper unit that's trained to mobilize during times of severe crisis. Its objective: to bring law and order back to the remnants of society. What that means for you is heading into what remains of Manhattan as a one man judge, jury, and executioner to attempt to fix critical infrastructure, and protect the populace from the criminal elements who have taken over much of the city by force. 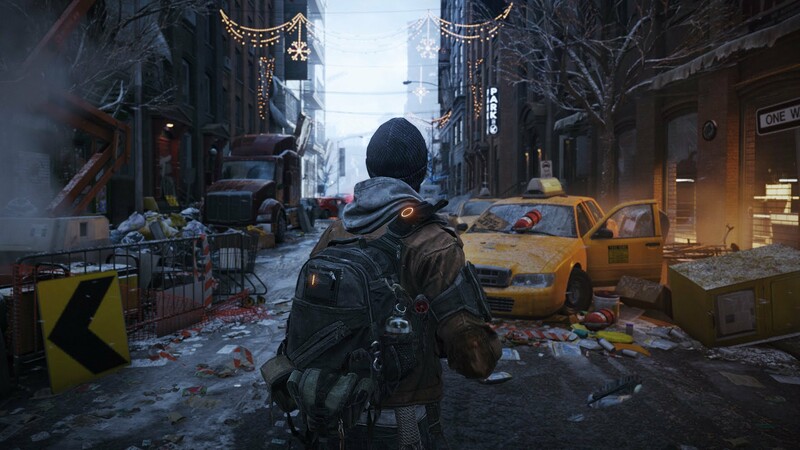 In other words, The Division is a third-person, cover-based MMO shooter with RPG elements in which you explore the sandbox world of Manhattan, taking on missions to earn experience to level you up, as well as garner new weapons and equipment to help you take on the increasingly challenging threats you'll inevitably encounter as you make progress. The action opens up in Brooklyn, with a series of training missions designed to get you up to speed on the mechanics of the game. It's all quite straightforward stuff, and works well to teach you the basics of the cover mechanics, how to navigate obstacles, and, most importantly, get a feel for your weapons. Before long, however, you're heading across the East River into Manhattan itself, where you're dropped off at Camp Hudson in Chelsea, where the game begins proper. I haven't been this excited about a game for a long while. Having played both Betas of The Division, I pretty much know what I'm getting into, and I'm hoping that what I've already experienced is an accurate taste of what's to come. I love sophisticated shooters, and that's what The Division ostensibly is. Sure, it has role-playing elements, but at its core, it's really a shooter. Well, a cover-based shooter to be more exact. Having blitzed through the starter missions, I find myself in familiar territory at Camp Hudson, and immediately make a bee-line for the base of operations, with the intent of getting that up and running as quickly as possible. Doing so requires me to fight a pocket of criminal resistance outside the base, and that goes smoothly enough. I generally like The Division's gunplay, and while it does occasionally feel a tad heavy, aiming and shooting is smooth and accurate enough. Base operational, I head to my first mission. I decide to tackle it solo to see how it is, and I soon run into trouble. It seems the mission I've chosen is slightly too high of a level for me, and I just don't quite have the DPS to take out the enemies with sufficient speed to stop them from overwhelming me. After a few more tries, I decide to give up. Not the most auspicious start for my agent, but I realize I'm getting ahead of myself by trying something I'm not quite ready for. Lesson learned: Don't attempt to solo missions in The Division when you're way below the recommended starting level. It makes the game frustratingly challenging. So instead I go out into the streets and complete a few encounters, which are a lot easier. Encounters are like basic missions, and vary in size from a simple takeover of a small yard to reclaiming a waterworks, which pits me against waves of enemies while I defend the installation. I have a lot of fun doing this, and while I do die a couple of times while working out the best way to prevent myself from being overrun, I eventually emerge victorious. One thing's for sure, The Division isn't a pushover, and unless you take on missions and encounters that you're over-leveled for, expect a fairly decent level of challenge. That's because, on the whole, enemies are quite intelligent, and try to flank and generally overrun you with superior numbers. Sometimes they do stupid things like hide behind a barrier with parts of their body exposed so you can shoot at them, but based on my experiences with The Division so far, the enemies mostly aren't cannon fodder. They're also pretty accurate shots, and if you stand still for any period of time, you'll be riddled with bullets in fairly short order. Instead, you need to make use of cover and stay mobile when fighting, which makes the action feel quite dynamic and exciting. One thing I'm noticing while playing is that The Division has quite a lot of footslogging as you travel around its enormous environment. There are some fast-travel options to go back to your base, for example, but for the most part, you have to run through the streets of Manhattan as you travel from place to place. This isn't as straightforward as it sounds, however. There are criminals everywhere, and it's very easy to run right into a pocket of resistance if you’re not paying proper attention, so you need to stay alert as you wander around. These random events help make the environment feel dangerous and filled with threats, and break up journeys into moments of interest. As I reach level six, I decide to tackle the mission that thwarted me initially, so I head over to its location and use the matchmaking system to check out how well it works. It's great! It takes a short 30 seconds to match me with another player, and we both head into Madison Square Gardens to rescue some doctors and nurses who are being held hostage there. The mission goes well, and we pretty much ace it between the two of us: Definitely a far cry from my solo attempt three levels ago. Missions scale according to the number of players in the party, and there are definitely a lot more enemies for two players than when I played it alone – but even so, I'm doing considerably more damage than I was before, and that enables me to take out enemies quickly. My temporary teammate is a level above me, and he's doing even better, and neither of us dies as we head through the mission's numerous locations, and chew our way through waves of enemies and the fairly tough end boss. It's a fun mission, and I pick up some decent loot from fallen enemies along the way, which I equip. So far, the loot system seems pretty good. Items can be acquired from downed enemies, as well as random crates dotted around the map, and as rewards for completing missions and encounters. There's also a crafting system, which I haven't explored yet, although I have picked up a few gun parts, as well as some electronics, and cloth. Apparently you need to acquire blueprints to be able to craft, and I've noticed a couple of missions and encounters that award them. I'll try these out a little later, and see what I can make. However, first things first – I want to hit the Dark Zone, which I'll be doing this afternoon and tonight. This is the PvP area of The Division, which is quite brutal and unforgiving, and I'm looking forward to seeing how I get on there. I really enjoyed what it had to offer in Beta – it's a truly dangerous place filled with tough, tough enemies and, of course, players who can attempt to kill you if they so desire, and that's a recipe for some adrenaline-fueled gameplay. I'll give you a full report in my next update. In the meantime, I've had a great time in The Division so far, and it hasn't disappointed. Well, apart from trying to tackle missions that I wasn't quite ready for. It seems that The Division's level demarcation is quite significant, and I'll be mindful not to take on missions whose recommended level I haven't yet reached. 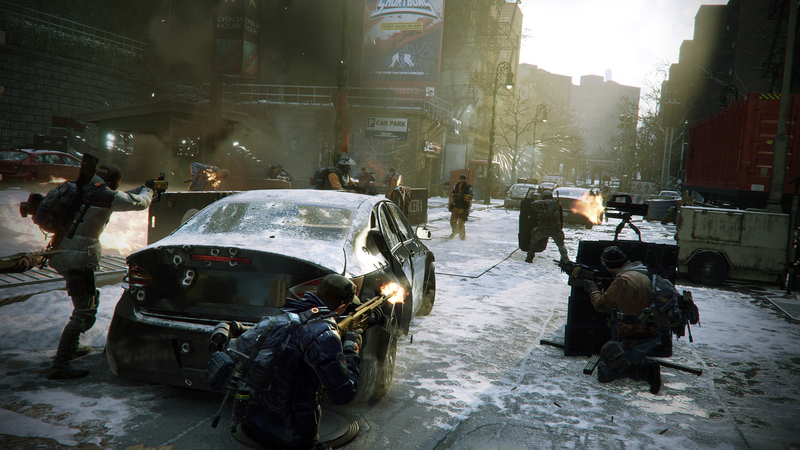 But other than that, The Division is challenging, and very gritty. Definitely a very, very promising start and I can't wait to get back to it. Last night I entered the Dark Zone… and had a really pleasant time. 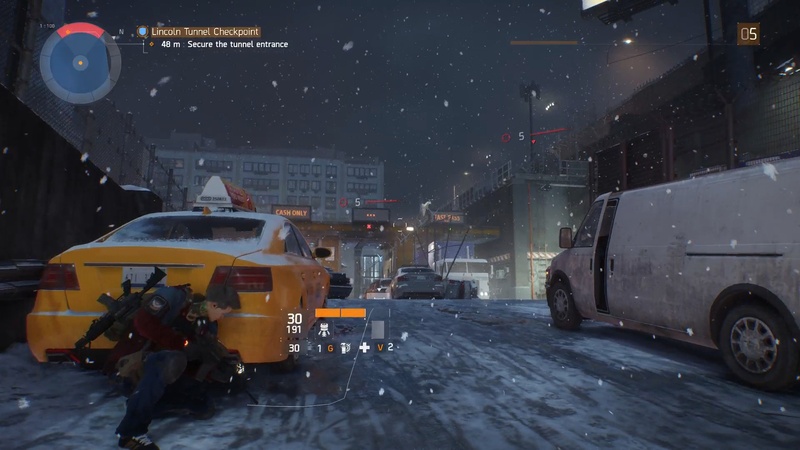 Which is something I wasn't expecting from The Division's brutal and unforgiving PvP area. Basically, I was lucky enough to run into several individuals who were running a circuit between landmarks, and were all helping one another out. I tagged along with them, shooting at the elite Dark Zone enemies we encountered, and reviving those who were unfortunate enough to get nailed during battle. I experienced this sort of mutual cooperation several times during Beta, and was always relieved when it happened. It's definitely a lot nicer than being shot at by groups of players who are preying on individuals, which also happened to me more than a few times. Nobody shot anyone (at least, not deliberately), and we all helped one another extract our loot several times during the hour or so the group stayed together. Whether I'll get this lucky again remains to be seen, but I'm encouraged that, so far at least, players I've encountered in the Dark Zone are more interested in leveling up and getting loot from NPCs, than killing other players and flagging themselves as rogue. After the group broke up, I did spend a little time soloing in the Dark Zone, and found it's a pretty tough environment when you're on your own. The NPCs are hard to take down as an individual – especially when there's a group of them – and you need to expend a lot of ammo to rack up kills. Definitely a place best enjoyed when you're in a group, or are working with other players under a mutual understanding of cooperation. Once I'd finished in the Dark Zone, I decided to run a mission, and used the matchmaking system, which quickly and efficiently grouped me with three other players. So far I've been really impressed with matchmaking, and it hasn’t failed to find other players for me to group with whenever I've looked. The mission we tackled was set in a huge department store, where we hunted for infected dollar bills while fending off waves of hostiles. I really enjoyed the action – the department store was very open, and the enemies engaged us from multiple angles, meaning we had to constantly keep on the move to stay out of the line of fire. Several of the enemies were cleaners equipped with flame throwers, and that also helped dial up the level of challenge. What I've noticed so far is that missions have all been essentially the same in terms of their fundamentals – make your way through an environment, shoot at the waves of enemies that attack you, and take out the boss at the end. However, their settings have made each firefight feel different from one another. From the more linear Lincoln Tunnel mission to the open department store, each has set its own challenge that has felt different enough for it to not feel like I'm doing the same thing over and over again. I'm interested to see whether this holds up over the long-term, but so far I've been impressed with the variety the game offers, even though you're basically running a series of shoot-outs. At the end of my session, I returned to my Base of Operations to upgrade it with the supplies I've been awarded for completing missions. I really like the way this aspect of the game works: The Base has three different wings; medical, tech, and security, and each can be upgraded by building out different facilities using your supplies. So far, I'm doing very well on the medical side of things, and have added a virus lab, quarantine, and a pediatric care facility – each of which has given me additional mods, perks, and skills that I can use. This has essentially enabled me to customize my character by choosing facilities that deliver abilities I'm most interested in. In my case, I love role-playing a healer, so I've taken mods, skills, and perks to turn me into as good a medic as I can be at this point. However, you're not just limited to playing specific roles. You can mix and match mods, perks, and skills from each wing to customize your character in any way you see fit, meaning you can create hybrid characters that have a mix of different abilities. It's a neat aspect of the game, and one that gives the player a vast amount of choice in terms of the path they choose to upgrade their character, as well as how they augment their playstyle with different abilities. Session over, it was time to write a few notes and reflect on my first day's experience in The Division. So far it's been great! Missions have been challenging and entertaining, and while the action seems to boil down to shooting people repeatedly and relentlessly, it's been a varied enough experience to keep me fully engaged. What's clear is that this is a big game, and I've barely scratched its surface. I'm looking forward to seeing what else it has to offer. David Leitch signs on for the next Ubisoft film.